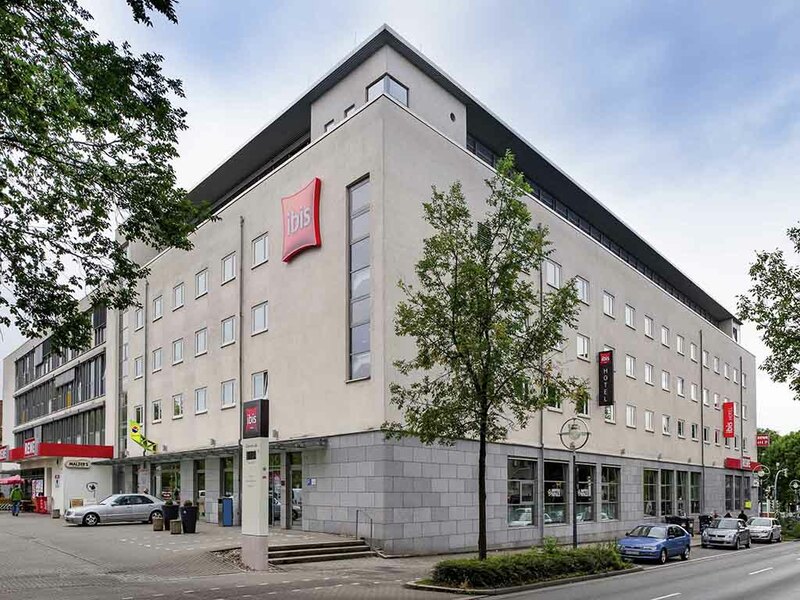 Hotel ibis Dortmund City. Book your hotel in Dortmund now! So many mistakes and misunderstandings with the reservations. And one of the rooms we got was already occupied - suddenly another guest came in, and it turned out his things were in the room. Quick and easy check in. Friendly staff. Very clean. Great location. Handy supermarket next door. Free parking was a big bonus! Tea or coffee making facilities would be the only thing to improve this stay. This was my third stay at iBis Dortmund City, and the single complaint is the same: the comforters for the beds are extremely heavy and uncomfortable. The shower is excellent, there is sufficient space even for visitors and tourists. Anything lacking (facial tissue, etc.) can be purchased at the Rewe store which is in the same building on the ground floor. When I return, I might just bring my own lighter-weight comforter from home. Dies war mein dritter Aufenthalt im iBis Dortmund City und die einzige Beschwerde ist die gleiche: Die Bettdecken für die Betten sind extrem schwer und unbequem. Die Dusche ist ausgezeichnet, auch für Besucher und Touristen ist ausreichend Platz vorhanden. Fehlende Teile (Kosmetiktücher usw.) können im Rewe-Laden gekauft werden, der sich im selben Gebäude im Erdgeschoss befindet. Wenn ich wiederkomme, bringe ich vielleicht meine eigene leichtere Bettdecke von zu Hause mit. We booked a room for 2 adults and a baby but soon found out that thus hotel is not family friendly when you have a young child. The room was very small and although a cot was available there was no way of making bottles in the room as there was no kettle. This meant in the middle of the night we had to get dressed and go down to reception just to feed our baby. I was also told I could use the hit water facilities anytime I wanted by myself and then rudely told I wasn't allowed by another member of staff. We found the staff very friendly and efficient (in the evening and at breakfast) even when the hotel and bar area got busy. We appreciated being able to have a drink and some food after the Slayer concert even if it was late at night. Rooms are equally efficient, quiet and clean. It was a nice surprise to be able to park the car inside at no cost. Nothing more and nothing less than expected. Restaurant dos not serve dinner but a few places nearby. Bathroom small as usual in Europe. Good location. In a great location a short walk into the city and close to Signal Iduna stadium for me. Room was comfortable but you only get one very thin towel, apart from that it's a good hotel. This Ibis gets better. Very clean, very welcoming. Our problem was quickly and professionally resolved by the person at reception, Fabio (?) and the bar service from Yvanta (?) was very excellent, she should be promoted for her excellence in service and professionalism. Food basic but excellent. This hotel was continent for my visit to an exhibition, clean and what you expect from IBIS no restaurant but one within 5 mins walk. Supermarket next door so good for drinks etc. I would stay again when in Dortmund. A car is parking at the main entrance for months at least... Dirty... with spiderweb all around and flat tyres... Should be removed because it souldn´t reserve the guests parking lot... and it´s not a dumping yard... On arrival I´ve been charged for the full amount of my stay. Not so friendly receptionist. Looked at me like I am a idiot when I asked why should I pay immediately. The answer was: &quot;because we charge on arrival&quot; Fine... The rooms are clean and tidy. The walls could be renovated and the smell of the room should be pleasant. Smells actually more like a chemical factory. Friendly staff, clean, comfortable room with no noise from adjacent rooms. Good, hot shower. Great location for centre and Westfalenpark, supermarket downstairs and U bahn nearby. Fresh, modern hotel. Good value. It was a very pleasant stay at Ibis hotel. I will be going back as our daughter lives 20 minutes away walking distance. Truly a delightful hotel and the staff were Great! Nice stay- very friendly and helpful staff. Location a little was removed from true city center , but reachable by public transport.